Your farm linking services were very helpful during our farmland search. After looking at one or two land listings through WNC FarmLink, we had a much better understanding of what the land prospects would be like in Western North Carolina. The land listings also did a good job outlining specific property attributes and aided us in what to look for in a farmland listing. The land access coordinator was very helpful in gathering land information and bridging the gap between us and landowners. 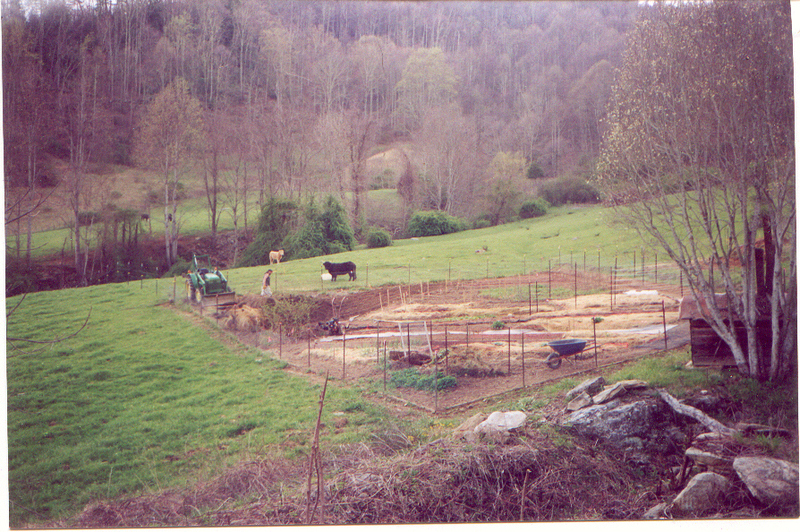 We moved from Mobile, Alabama to Western North Carolina to start a woodland herb farm and to live out our homesteading dreams. 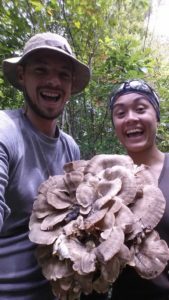 This would have been near impossible without the invaluable guidance from WNC FarmLink and especially our land access coordinator. Our land access coordinator was a wealth of resources, connections, and farm business advice that made our introduction to a completely new area so much easier. My best advice for the whole process is to use all of the services provided by WNC FarmLink and keep in touch with your land access coordinator. They are an unbiased and usually experienced party that is only interested in helping you! 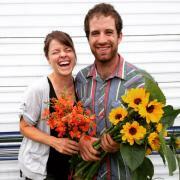 We are really appreciative of WNC FarmLink. The land access coordinator was very helpful in encouraging us to lease land while in the beginning stages of our farming career. 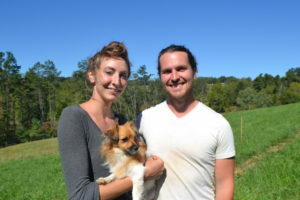 She connected us with the Southern Appalachian Highlands Conservancy incubator farm, where we are currently leasing the land for our market garden. Because of our initial positive experience, we anticipate using FarmLink again in the future to purchase land. The WNC FarmLink program was by far the most useful resource in our search for farmland. Their website is easy to navigate, the resources they provide are invaluable, and they were always quick to respond if we had additional questions. Without a doubt we would not have found our future long-term site without their help. We are incredibly grateful that they helped us navigate process with ease. We are looking forward to our future growing in the region, and have this impressive and very helpful organization to thank for this opportunity! As far as our experience working with WNC FarmLink, I am so grateful for all that this program does. We really liked the farmer we were set up with last year. The land access coordinator was 100% supportive every step of the way. She came out to our farm herself several times with potential renters. As a landowner, I am very grateful for the help, and feel that WNC FarmLink is a wonderful service to the community. 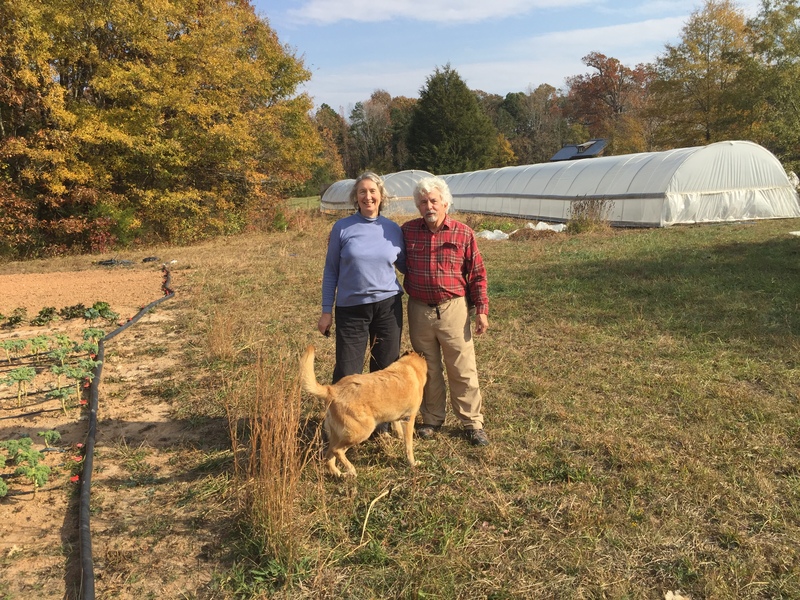 We bought our 92 acre farm with the intention of putting fallow farmland in Cedar Grove back into production using organic methods and assisting young farmers. We had no idea how many people would respond via NC FarmLink, particularly since we wanted someone who had experience farming. We were so fortunate to find Keith and Megan Marshall, who were an ideal match. 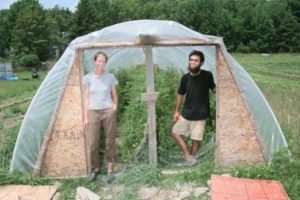 Within less than a year they have been very successful: they’re selling their varied produce at markets, to restaurants and to our local food co-op where we shop. • Tomorrow Is Not Promised - Live Life in the Present and Enjoy the Journey!